Really big news: Our first Trinity Church preview gathering will be 5:00pm Sunday, October 15th at Cherry Hill Event Center!! Over the past month, the Sunday evening gatherings in our home have grown from ten adults and six kids to an average of 22-24 adults and 8-10 kids. We will hold three Fall preview gatherings (also on November 12th and December 10th at Cherry Hill), as we continue to build our community and prepare to go public. What is a Preview Gathering? We will gather to do what Christians have done for centuries: sing, break bread, and read the Word. It's a great opportunity for us to worship together in a way that gives us a vision of the future. Although we always hope to have a family-room feel to our church, we also recognize the need to meet in larger spaces on Sundays. 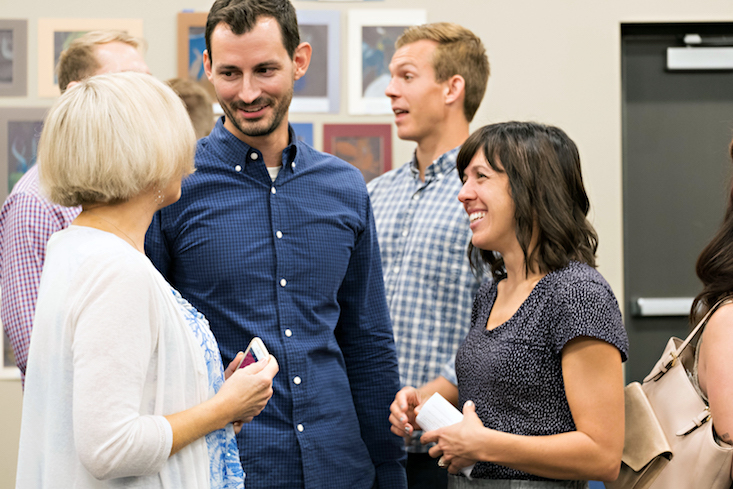 These gatherings also give us the opportunity to invite friends, neighbors, and coworkers to a larger but still low-pressure gathering. We'll sing six or seven songs together and follow a traditional liturgy of Psalms and communal prayers; I (Jeremy) will preach a 25-30 minute sermon from Ephesians; we'll take communion together; and we'll have safe, fun children's ministry. 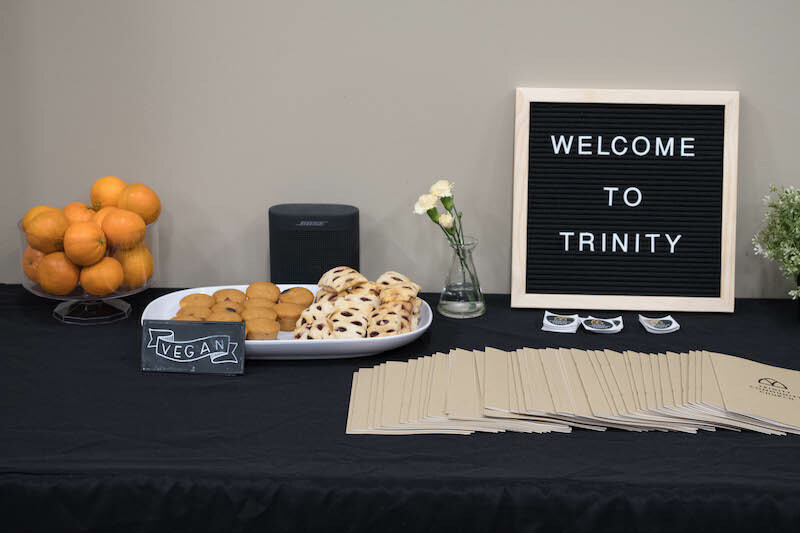 At our preview gatherings, we are starting our (more) formal TrinityKids ministry for children from 6 months to 6 years. Kids will enjoy play time, snacks, structured activities, and a short Bible lesson with take-home coloring sheets. Our TrinityKids leaders include volunteers from our own group as well as incredible volunteers helping from our partner churches. They are trusted, kid-loving people! We hope you'll spread the word, invite a friend, and join us on October 15th! 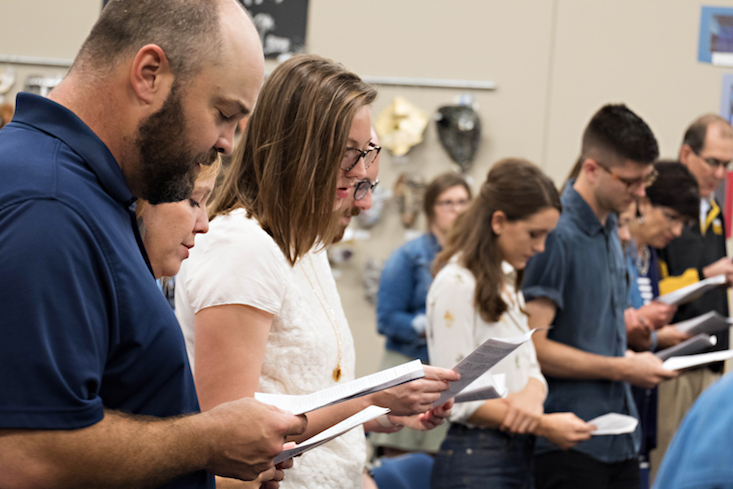 During our Sunday night home gatherings, we use a formal liturgy—an intentional order of service that prioritizes pre-written prayers, songs, and Scripture readings. Why do we follow a liturgy? If you’re new to a formal liturgy, it can take some getting used to. It can seem like a Catholic thing or an Episcopal thing, but it actually predates the Protestant Reformation and can be dated back to the early church. 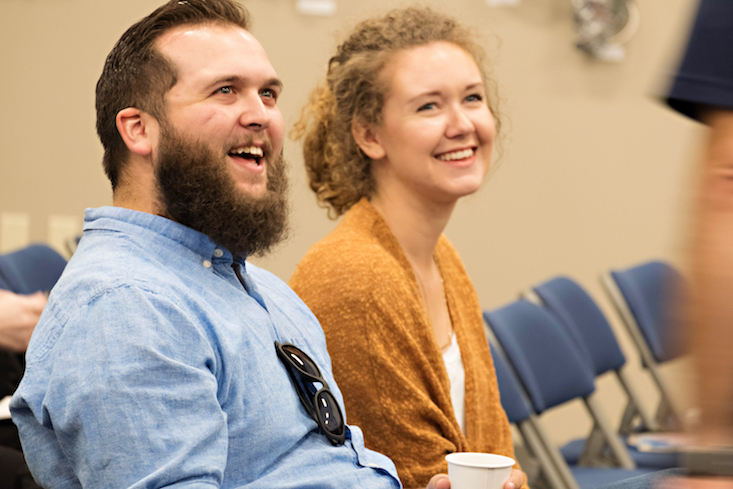 But in another sense, every church has a liturgy: Every congregation has some regular pattern of gathering, whether it’s tightly planned or loose and informal. The question is, What does our liturgy communicate? Consider the flow of our service. Each element includes either a Scripture reading or pre-written prayer. Call to Worship: Worship starts with God and his Word; we are invited into his presence, not vice versa. Confession of Sin: We respond with confession of sin, typically a Scripture reading or pre-written prayer. Lament: We corporately (as a whole church) grieve the brokenness of the world. Forgiveness and Restoration: We celebrate having received forgiveness from God through Jesus, and announce the coming restoration of all things in him. Peace: As a result of peace with God, we have peace with one another. Preaching of the Word: We gather around the Scriptures to discover God’s invitations to us as his people. 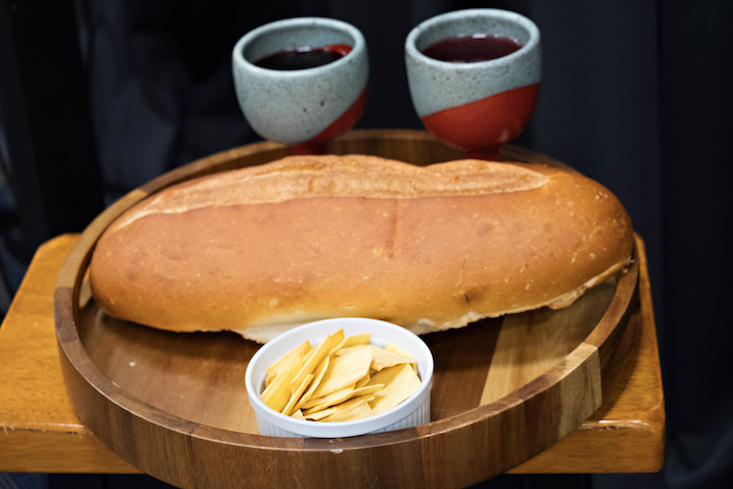 Prayer of Response: We pray together in response to the preaching and Lord’s Supper. Benediction: Our gathering ends with a blessing, but we don’t cease being a church—instead we are sent to our families, neighborhoods, and work as witnesses for Christ. Why do we follow this pattern? Our hope is that our Sunday liturgy reminds us of several realities. Our liturgy helps us remember and “enact” the gospel. 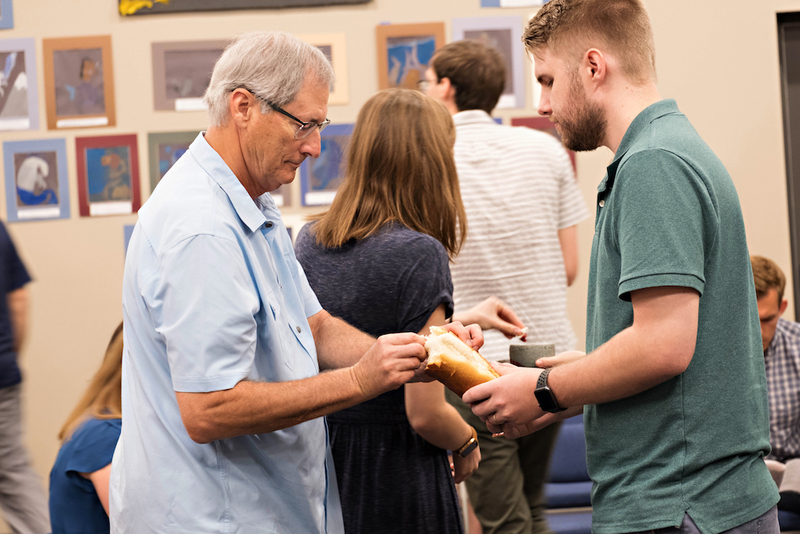 The Scripture passages, readings and prayers follow the pattern of how God works in our lives: He comes to us, forgives us, restores us, connects us to one another, and sends us out on mission. Second, our liturgy reminds us that we submit to the Scriptures in all of life: the readings expose us to more of the Bible throughout the gathering, so that there is teaching not just in the sermon but the whole gathering. Third, a liturgy enables us all to participate in the church gathering. Liturgy means “the work of the church,” a way of participating together, not just watching or observing a presentation or a show. Lastly, liturgy teaches us how to pray and worship. 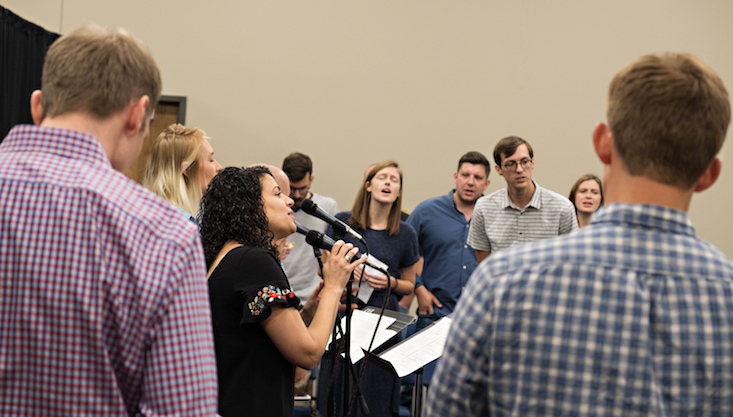 The liturgy is a training tool, designed to shape our habits—how we pray, what we pray for, how and what we sing, and even how to treat one another. Together, when practiced week after week, these practices become familiar and even habitual. Not only do these practices shape us as individuals, the liturgy forms us as a community together.